Repairing masque for weak, over-processed and damaged hair. Masque Therapiste Travel-Size Hair Mask is rated 4.4 out of 5 by 32. 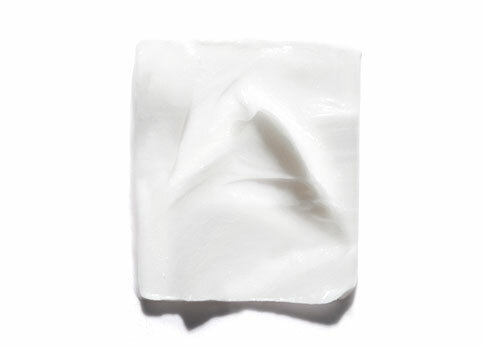 Apply a quarter size amount of Masque Therapiste to wet hair, working from mid-length to ends. Leave on for 5-10 minutes, then rinse. Can be used daily. Rated 5 out of 5 by rodeogirl1212 from Made a big difference I purchased Therapiste Hair Mask in a spa during a cruise last spring. At the time my hair was in really bad shape from a mistake my stylist made in color and we had to re-color before the cruise. This product has made a huge difference in my hair. I will not use anything else. Rated 5 out of 5 by Morgan from Smells incredible I only buy Kerastase shampoo, conditioner, and hair masks now because I love the way my hair looks and feels after. If you want to feel like you just left the salon and have long lasting perfumed hair definitely make the switch. This one smells better than the length mask (lighter teal) but the teal one soaks in more it feels like. I like to switch off. Rated 2 out of 5 by productaddict from Too heavy/weighed down I was excited to try this, but it was a big letdown for me. I used it with the shampoo. I have fine hair with heat damage. While I felt this coated my hair, giving the hair fibers more substance, my hair didn't feel clean or bouncy. It looked like I skipped a wash and I didn't like how it felt. I prefer the other shampoo/conditioner in this line that is for healthy length. This is going back. Rated 4 out of 5 by Jake Beauchamp from Love it! Alright, so you know that smooth, slippery feel when you rinse out a conditioner? Well, I didn't quite get that with this. However, this did deliver some moisture, along with more strength, and I'm quite happy with that. It's no Masquintense, but I'm still satisfied. This is probably the most thick-textured mask I've ever used. The smell is amazing; it kind of reminds me of Christmas. With each use, it does seem like my hair is getting a little more stronger. I do wish it was a little more moisturizing, but I'm satisfied. Kerastase has yet to disappoint me! 4.5/5 for me! Rated 5 out of 5 by Chrissy from If you highlight and color- a must!!!! I’ve been using this mask for over a year now. I am 46 yrs old with very thick, course and curly hair. I color and highlight my hair and typically wear it straight with the help of a flat iron. So yes, I had some damage! This line (the mask especially) has transformed my hair in the most beautiful way!!! It's simply a miracle worker. I receive the most compliments on my hair and the health of it- can you imagine THE HEALTH OF IT???!!!! Rated 5 out of 5 by Shutterbunny Photos from Another Winner from Kerastase Love this mask. I use a lot of Kerastase products, and I've been known to "mix masques" trying to get the results I want. This one is the one masque that I say is perfect just as it is--it is a thicker formula and I like the way it really coats my hair (even a small amount goes a long way and feels coated) and then it easily rinses away. I have a lot of hair but it is super fine--that is a tangled mess waiting to happen at the slightest move. With this masque, I can easily comb through wet hair and it stays "slick" (not greasy looking/feeling) and shiny and smooth. I use it with the Extensioniste shampoo. My hair is long (mid-back), color treated (75% grey in real life), and highlighted and it still has the remnants of a "beach wave perm" from last year. This brought it back to life. I love it and it is worth every penny in my book. Rated 5 out of 5 by Deanna from LIFE SAVING I went to a lady who gave me a full head of highlights instead of blonde balayage. I literally had 11 days till I was going to the pro's to fix it. This mask is a godsend. The smell is amazing and not strong at all! It smells fresh and luxurious. I will be using this every day till I go to my appointment because on my fine, over processed hair it works wonders! I cannot rave about this enough and not to mention this mask is worth every penny. You would be a fool to not invest in your hair. You won't regret it. Rated 5 out of 5 by Mirielle from Miracle Worker on Bleached/Over Processed - BUY IT Hands down the very best mask I have ever used in 20 years! I am a product junkie and spend on quality products. This by far has blown me away on my first try nonetheless! Never have I written a review for a hair product that solved my hair nightmare! I’m blown away! I have Naturally curly/frizzy overstressed bleached hair. It’s over processed, tormented by my daily heat circus of flat irons and blow drying heat damaged. This revived my hair in one use, it’s like nothing I have ever seen before. The frangance is lovely and not over powering at all nor is it offputting. I’m shocked that anyone would mention the fragrance being overpowering in some of the reviews here. My hair is alive again! I’m so impressed. Don’t hesitate to buy this! It’s worth every penny! Soin Premier Therapiste Travel-Size Pre-Shampoo Repairing pre-shampoo very damaged hair.